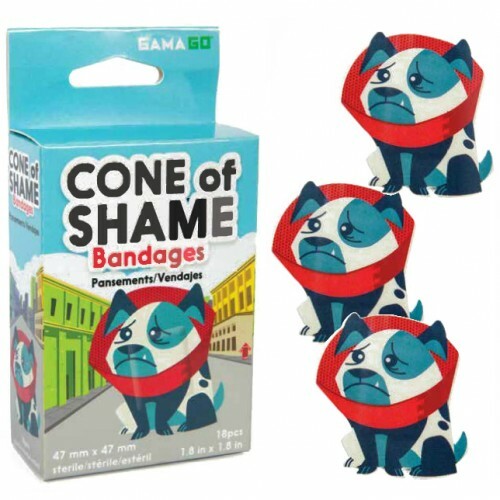 Which is exactly what we said to these bandages the minute we saw them! Dug does not like the Cone of Shame, but he also does not like it when his Master gets a boo boo, so he covers the Old Geezer in these Cone of Shame Bandages and makes him feel ALL better. Good Dug! Get 10% off these bandages and everything else at Perpetual Kid when you enter code NUTS at checkout! Plus, get Free Shipping when you spend $49 and up!